Usually, this question will ask you to select and report the main features of the line graph and make comparisons where relevant. You are not asked to give reasons for trends shown in the graph. Remind yourself that you should give yourself a maximum of 20 minutes to answer the IELTS part 1 writing task. Remind yourself that you have to write at least 150 words. This is a very important step. You are writing to a deadline in the IELTS exam and you really should try to keep to it. If you want IELTS exam writing practice, you can get it here. Sales fell during this period. Sales are predicted to fall during this period. Remember that we use the present simple to describe the actual graph. We say that the graph shows….. and …..recent sales of chocolate can be seen in the graph. Read more about this here. What does the Y-axis -the vertical axis – show? Do you know what you are describing? Is it sales? Visits to somewhere? There’s no point putting pen to paper until you have identified what you are describing. Some of my recent students think that they can describe the line itself. The line increases between 2002 and 2003. The sentence above is terrible. It’s not the line that increases. It is whatever the graph shows e.g. sales of chocolate bars. Look at the graph. In this case, we have two sets of data shown. Try to identify key features of what is shown in the graph. Let’s imagine that the lines show the sales of two different chocolate bars. The blue line represents sales of bar-a and the red line sales of bar-b. Sales of both chocolate bars rose at the same rate between 2000 and 2002. Sales of bar-b rose dramatically between 2002 and 2003 from around 48 sales a year to approximately 72 sales a year. Contrast – bar-a sales remained steady and constant. 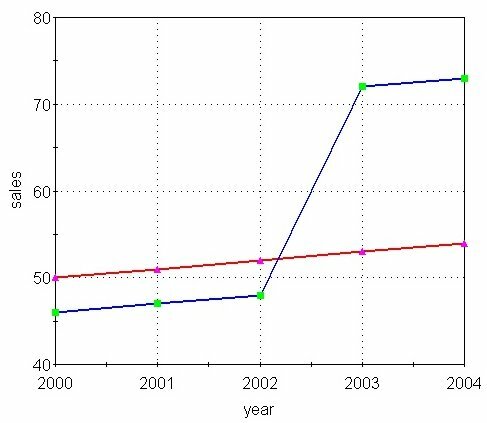 Sales of both bars continued to rise at the same rate between 2003 and 2004. Make sure that you know when to stop. You only have 20 minutes to complete this task. You don’t have to describe every detail of the graph. In fact, you will find that doing this will ruin your piece of writing. Now is the time to remember phrases and expressions to use in this piece of writing. Listen to this and complete the dictation task. Can you identify any language that would be useful in other graph descriptions? Here is the kind of language that you need to make a note of and learn. Plan your paragraphs. You should be aiming to write three (or sometimes four) paragraphs to answer this type of question. In the first paragraph, give an overview of what the graph shows or represents. You should mention what is represented by the lines of the graph and what the time period is. In this paragraph, you should try to describe the main points ie sales of both ba-a and bar-b rose. Hee, we give more details about what the graph describes. This is where we mention detail – we refer to what happens in the graph and give numerical detail. Remember that the example graph above is relatively simple. Graphs in your IELTS writing examination will be more complex than this. Take a deep breath and start writing. If the planning part has taken you five minutes, you’ve got fifteen minutes to complete the task. You really don’t need that long to write 150 words. Really! You don’t!! If you have planned carefully and you’ve had lots of practice, this part should be the easy part. You’ve done this before, haven’t you? If you write twelve twelve-word sentences, that’s a 144 words. You could spend fifty seconds on each sentence and this would only take you ten minutes. I’m not saying that all of your sentences should be the same length. Think about it and you’ll get the point I’m trying to make. You’ve got plenty of time! You should be able to finish the writing task with time to spare. It’s amazing how many students don’t edit their own writing. You should be able to spot your own mistakes. Learn what kind of mistakes you make normally and train yourself to find these mistakes. Find a teacher to help you . Its amazing how much a piece of writing can be improved through the editing process. Repeat step nine!! Surely you can correct and improve one more sentence before you move on to IELTS writing task 2? Have you checked your punctuation? Make sure you have used the correct words. 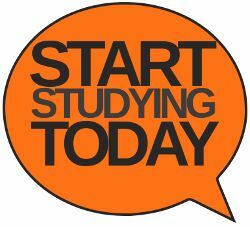 It’s important to remember that to improve your IELTS writing, you must do lots of IELTS writing before the exam. Reading this ‘blog post is a good beginning but putting pen to paper is the next logical step. If you need direction and help, find a teacher to get some online English classes.